Skye Gravestones | Hugh Campbell. 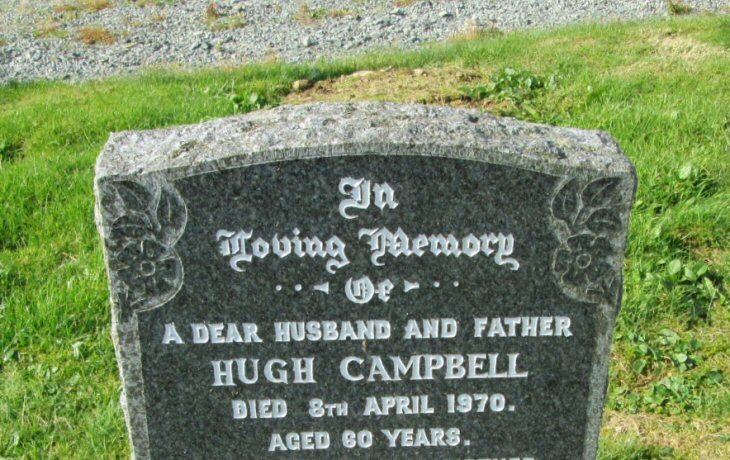 In/loving memory/of/a dear husband and father/HUGH CAMPBELL/died 8th April 1970/aged 60 years/["recent"]. Picture Added on 19 January 2014. Added by Christine Campbell on 01 October 2014.